PHILADELPHIA -- One country music megastar had guests at a Philadelphia wedding in awe Saturday night. Grammy Award winning singer Tim McGraw surprised the bride and groom during their reception at Cescaphe Event Group's Vie. The bride's father was behind the singer's attendance - as McGraw first appeared during the father-daughter dance. But the show didn't stop there. 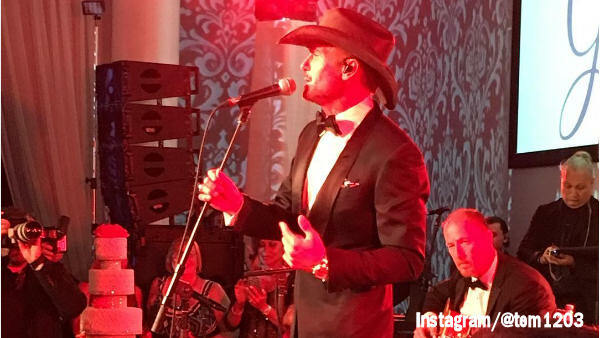 McGraw continued to perform more of his hits for the wedding guests throughout the night- including "Live Like You Were Dying." The surprise appearance certainly created wedding memories everyone will remember.